LARGEST PARENTING FAIR IS COMING! 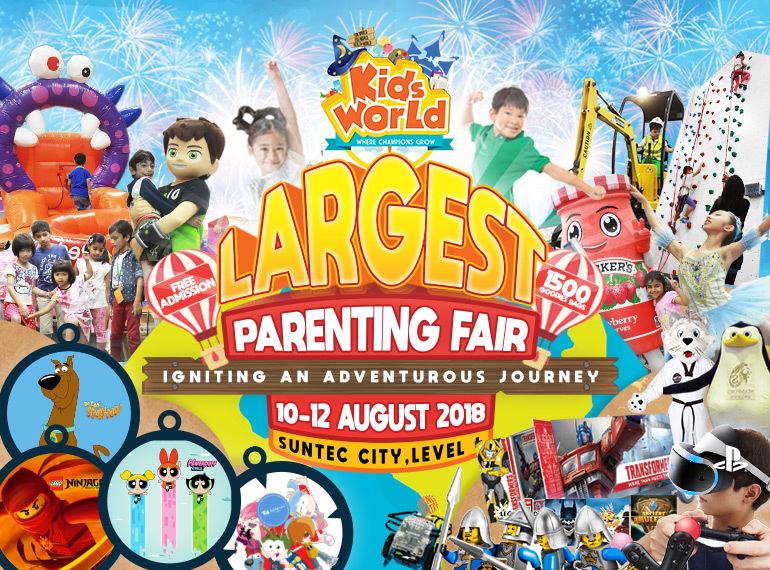 First LARGEST Parenting Fair – By Kids World - will be a full 3 days filled with informative, adventurous and amusing experience for you and your little ones! Enjoy over thousands of exhibits, engaging activities and entertainment which will bring your family bonding session to a whole new level. Kids will get to meet their favourite cartoon characters and discover their interests and hidden talents through many hands on activities. To make the Kids Fair even better, Baby Fair – Baby Land Fair - will be coming on board with us and we promise you would be able to shop for babies to young kids! RSVP and keep your eyes peeled for our giveaways! Brought to you by Kids World.